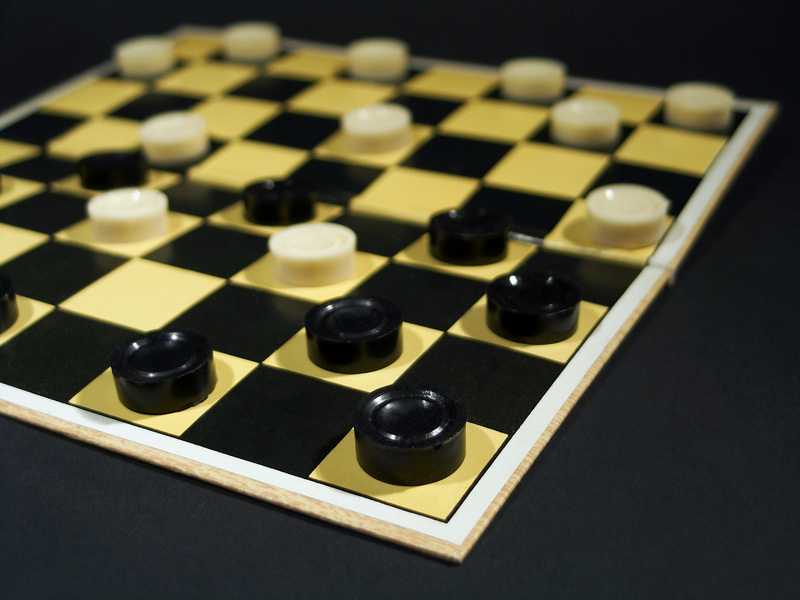 Checkers is a strategic board game for 2 players which is played on either an 8×8, 10×10 or 12×12 board. The board is similar to that of a chess board but the game is much more simplistic, 1 player has the dark pieces and 1 the light and the aim of the game is to eliminate all of the oppositions pieces. You can only move 1 space diagonally forward, to take an opposition’s piece you have to be directly next to it and then have space on the other side to hop over. If you get a piece to the end of the board it is crowned which means it can now move backwards which is a big advantage. If you’ve taken an opponents piece and you are in the right position to take another you can so you aren’t limited to taking 1 piece per move. Checkers falls into the Agon game category set by Roger Caillois because it is a competitive game as you are trying to beat the opposing player by taking all there pieces. It could also possibly go into Mimicry as you are repeating the same moves a lot because the pieces can only move in 1 way. Checkers is a game that take’s concentration and strategy so has the elements needed to get into a state of flow. Personally I didn’t reach a state of flow I was more in a relaxed state as I wasn’t worried about the outcome but for more competitive people or people who really enjoy the game it would be easy to get into flow. 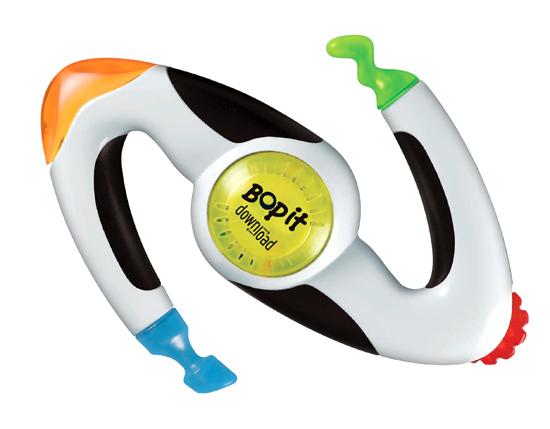 Bop It is an audio game which was originally released in 1996. Bop it is the physical game version of simon says where you have to follow the commands given, Bop it has a voice command that tells what input to hit. The inputs include pulling a handle, twisting cranks, spinning wheel, toggle switches and a bop it button to hit, You have to do each one when it tells you and if you do the wrong one the game ends. The longer you keep going the harder it gets by increasing the speeds the commands are given until you eventually get it wrong and have to start again, the aim is to just keep going for as long as you can. Roger Caillois’s game categories Bop It goes into are Agon and Mimicry, It’s a competitive game because you are trying to better each time you play, It can also be competitive with other people if you are trying to get a better time then them. The main category Bop It falls into is Mimicry, It’s the main mechanic of the game as you are mimicking what it is telling you to do. This sort of game makes it easy to achieve flow whilst playing because it is all about concentration and quick reactions, I got into a state of flow because I was really concentrating on what input I had to do next. It also helps that the controls of the game are very simplistic there are only 5 inputs so it is easy to get into the rhythm of the game.